IF THE THREAD DOESN'T FLOW, IT WILL NOT SEW! Learn the simple techniques that may keep your machine out of the repair department! There are many things that we can do ourselves, (and some we can't). 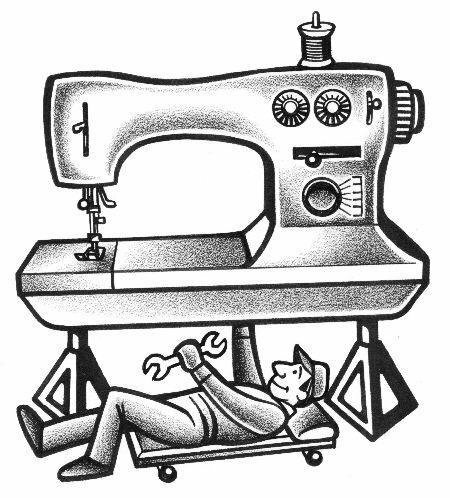 Of course, we are always here for you if your sewing machine needs an expert! Larry French Jr. is the owner of Family Sewing and manages our wonderful repair department! Learn some things you can do at home to keep your machine running smoothly.